CarGurus has 3,564 nationwide Fusion Energi listings starting at $4,899. 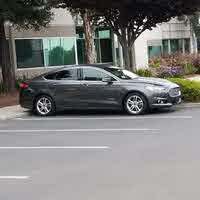 Slated to get the same tweaks to its interior and exterior styling as the 2016 Fusion, the 2016 Ford Fusion Energi returns offering plug-in-boosted hybrid fuel efficiency, state-of-the-art techno-goodies, a nimble ride, plush interior, and a price tag that’ll make the average commuter wince. But if you just have to feel earth-friendly — and your commute is less than 20 miles — then this 5-seat, midsize sedan will get you to work (and maybe even back) in style and comfort without using any of those pesky fossil fuels. The upcoming model year’s Fusion Energi will again be offered in the base SE Luxury trim, as well as the top-shelf Titanium version. Expected upgrades include, unfortunately, the deletion of the unique front quarter windows. Maybe, however, the brand new dashboard design or the new steering wheel will allow you to overlook the lack of civilized fresh air circulation. Of course, next year’s Fusion Energi continues to be offered with only front-wheel-drive (FWD). Trunk space is also at a premium, with the rear-end-mounted lithium-ion battery pack leaving only 8.2 cubic feet of toting area available. However, this plug-in hybrid returns offering split-folding rear seats to add at least a few more cubes to useful cargo capacity. At the heart of the 2016 Fusion Energi’s appeal is the plug-in gas/electric powerplant that features a 2.0-liter inline 4-cylinder (I4) gasoline engine, an 88 kilowatt electric motor, and a plug-in charging system — all under the auspices of the standard continuously variable transmission (CVT). Altogether, these various mechanisms will put out around 188 total hp, while a full charge of the 7.6 kWh lithium-ion battery allows up to 20 miles of all-electric cruising. Should only a short sprint be needed to get from point A to point B, this gas-saver will scoot up to 85 mph on electric power alone. 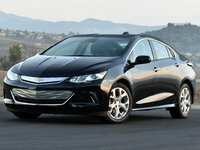 Meanwhile, regenerative braking helps both the gasoline-burning I4 and the plug-in system keep the battery topped off. Beware, however, that gathering a full plug-in charge using the 120-volt system will take about 7 hours; hooking up to the optional 240-volt charger will juice the battery in about 2.5 hours. Bear in mind that recharging stations are few and far between and therefore, the I4 gas-burner might have to be used more often than advertised, thereby cutting into a perfect-world-estimate of over 500 miles between gas stops. Ford claims, however, that the 2016 Fusion Energi still gets a pretty nifty 40 mpg city/36 highway in traditional hybrid mode. Also returning for the upcoming model year is the Fusion Energi’s unique EV display, which offers 3 selectable driving modes: EV Now, for all-electric driving, Auto EV mode, which efficiently kicks in the I4 engine when needed, and the EV Later mode, which saves the plug-in charge for later use. Appearance-wise, look for the upgraded 2016 Fusion Energi SE Luxury to pack 17-inch alloy wheels and heated power-adjustable mirrors, with the Titanium adding on a standard rear spoiler. As for creature comforts, in addition to the anticipated styling upgrades, shoppers can expect full power accessories, leather upholstery, heated power-adjustable front seats, and memory for driver’s settings. Also standard inside are such returning goodies as cruise control and telescoping tilt-wheel steering, an auto-dimming rear-view mirror, a rear-view camera, rear parking sensors, and dual-zone auto climate control. Techno-bling in the base SE Luxury, meanwhile, includes SYNC/Bluetooth hands-free infotainment bolstered by MyFord Touch with an 8-inch touchscreen display, along with a single-CD player, 6 speakers, satellite radio, and a USB port. Taking things a step further, the Titanium adds standard remote engine start, sport front seats, keyless entry and ignition, and an upgraded 12-speaker audio perk to all of the above. 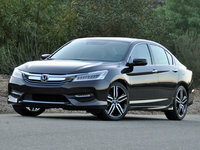 Optional equipment slated to return for 2016 includes adaptive cruise control, an auto parallel parking feature, a power moonroof, a heated steering wheel, and hard-drive-based navigation. Additionally, the touted Driver Assist package returns for the upcoming model year boasting blind-spot-monitoring, lane-keeping assist, and auto high-beam headlights. Finally, standard safety equipment adorning both the 2016 Fusion Energi trims remains 4-wheel antilock brakes (ABS), front side-mounted airbags, front and rear head airbags, daytime running lights, front fog/driving lights, and turn-signal-integrated mirrors. Of course, a remote antitheft alarm also returns for 2016, as do SYNC emergency telematics and Ford’s teen-leaning MyKey programmable speed and audio-volume-limiting technology. 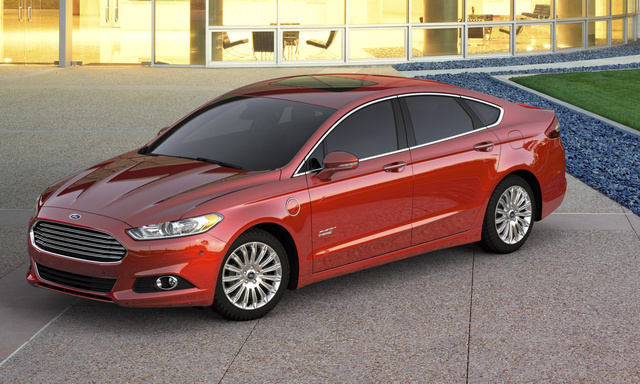 What's your take on the 2016 Ford Fusion Energi? Giulietta_421 Eric, Being an RVer you missed the boat by stating charging stations are few & far between. Using a level 2 charger with a nema 14/50 Plug any RV park on the interstate with 50 amp plug will work for charging. There are hundreds of RV parks in the USA! Surprised they are no advertising this is a cash cow for them. Level 2 charges take a little over 2hr sdepending upon the vehicle. Users ranked 2016 Ford Fusion Energi against other cars which they drove/owned. Each ranking was based on 9 categories. Here is the summary of top rankings. Have you driven a 2016 Ford Fusion Energi?